In all great characters, the voice is just as important as the appearance. 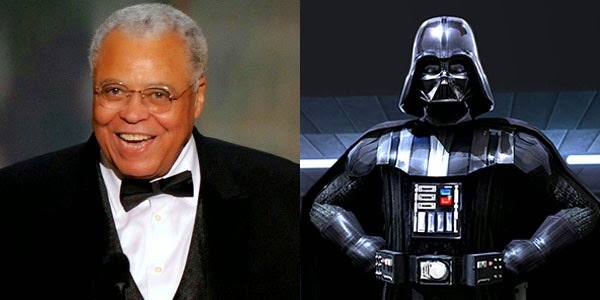 Imagine Darth Vader with the voice of Gilbert Gottfried and you'll see what we mean. A powerful voice can transform a character from a lightweight to a force to be reckoned with. Here's a list of the eleven actors with the most powerful voices on the geek screen. 1. Vin Diesel - He first gained fame through his role in Saving Private Ryan, but his big break came as antihero Riddick in Pitch Black. His gravelly tones made the shadows more menacing. In Iron Giant, his booming voice made the robot powerful yet gentle. 2. Peter Cullen - Cullen's gruff yet smooth tones made Optimus Prime a memorable hero in the eighties. His voice so resonated with fans that there was outrage when the first Transformers movie announced someone else would voice Optimus Prime. There was a campaign to bring him back for the movie, which succeeded. 3. George Takei - It's hard to believe, but there was once a time when Takei was only known for his role as Captain Sulu on Star Trek. Through social media and voice acting, he's become much more. I call him the Japanese Morgan Freeman. Oh, my. 4. Ian McKellen - As a classically trained Shakespearean actor, it's surprising how many geeky roles McKellen has played. He brings gravitas to whatever role he's in, whether it's Magneto in X-Men or Gandalf in Lord of the Rings. 5. Kelsey Grammer - Grammer is most known for his role as therapist Frasier Crane. I wouldn't have been able to include him if he hadn't played the Beast in X-Men: Last Stand. He's a great Shakespearean actor in blue fur. Can you get anything cooler than that? 6. Patrick Stewart - Known as much for his bald head as much as his voice, Stewart is an icon. When he barked out orders on the bridge of the Enterprise, there was no question why he was in command. His geek command only grew as the wheelchair-bound Professor X in X-Men. 7. Alec Guinness - Guinness only appeared as a major character in the first movie, Star Wars IV: A New Hope, but his presence echoed throughout the series. As Obi-Wan Kenobi, he played a wise and strong mentor to Luke Skywalker. His soft yet powerful tones brought dignity to a movie with talking robots and walking carpets. 8. Morgan Freeman - Freeman's voice is powerful but gentle, soothing but forceful. As the first black president in Deep Impact or the resolute leader in Wanted, Freeman brought calm into chaos. Is it any wonder he gave the voice of God in Bruce Almighty? 9. Kevin Conroy - When you think of Batman, whose voice do you hear? Michael Keaton? George Clooney? If you ever watched the animated series, there's only one. His voice is the voice of Batman. Period. His gravelly voice even inspired Christian Bale in the Dark Knight Trilogy. 10. Leonard Nimoy - Nimoy began as Mister Spock on Star Trek and continued by hosting "In Search of," becoming the voice of knowledge. As he's aged, his voice work in documentaries, movies like Sentinel Prime in Transformers: Dark of the Moon, and appearances on TV shows like Fringe, have turned his voice into one of wisdom. 11. James Earl Jones - Believe it or not, Jones once had a speech impediment. His speech training led him to overcome his stutter and more. His booming voice struck fear into our hearts as Darth Vader. Who's your favorite voice? What other voices impress you in scifi? Good List. I just would have replaced Grammer with Avery Brooks or maybe Keith David. Definitely Keith David! The original voice of Spawn. Keith David was on my list but Geek Soul Brother took him! I think of Spawn and Goliath from Gargoyles every time he speaks. Since you have Batman with Kevin Conrad, how about the Joker Mark Hamill. Patrick Stewart tops my list. And I'd have to add Arnold as the Terminator. Clancy Brown, which should come as no surprise. His work as Parallax in the Green Lantern movie was one of many things I instantly loved about it. Mark Strong in that and John Carter is another. That's a good list, curious though, I'd imagine Laurence Fishburne not being mentioned is on purpose. What's up? He's easily in my top 3. Am I alone in that? I don't think anyone's more memorable than Vader. And Peter Cullen is the one and only Optimus Prime in my book. Fantastic list. These voices are memorable. Poll: Who's Your Favorite Black Superhero? Would You Rather: Own a Flying Car or a Dinosaur? Would You Rather: Save STAR TREK or STAR WARS?